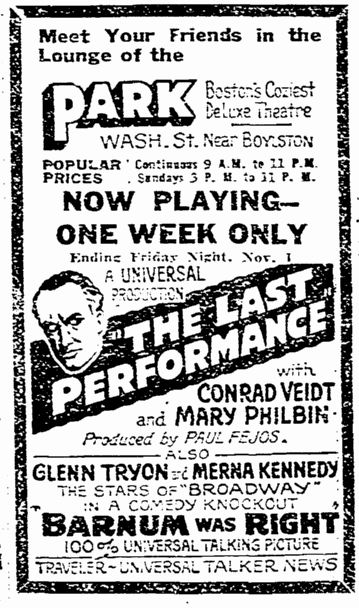 Also known as Final Performance, Last Call, Doctor Gift, and Illusion, The Last Performance is the story of a famous stage magician’s infatuation for his much younger assistant, which results in his murdering her true love. 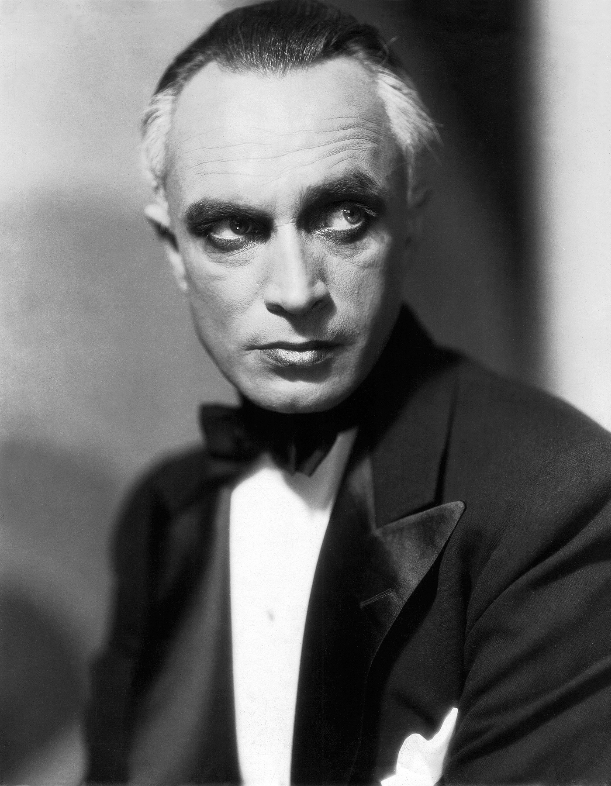 Although the Los Angeles Times reported that Bela Lugosi starred in a Hungarian version of The Last Performance, he only dubbed Conrad Veidt’s performance into Hungarian. Press notices said that this specially prepared version was the first talking picture in the Hungarian language. Two versions of the original film were released, one silent and one with music, sound effects and talking sequences. 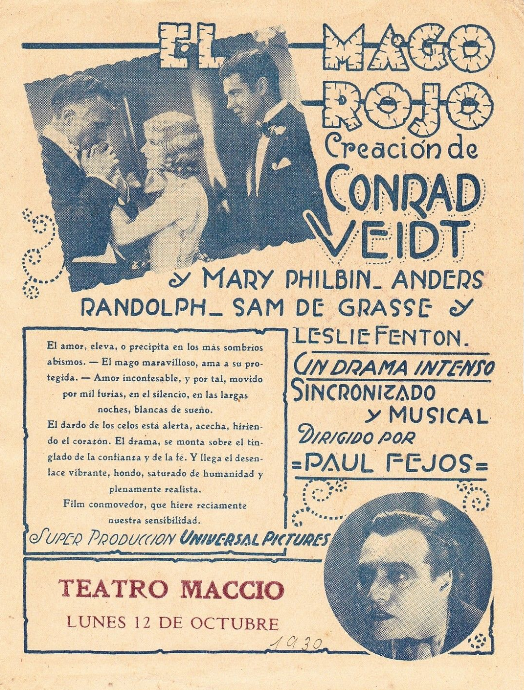 Veidt and Philbin had previously starred together in Universal’s The Man Who Laughs (1928). Production Supervisor: Carl Laemmle Jr.
After the swarm of more or less noble song-and-dance men who have appeared on the screen since the launching of those plays, ‘”Broadway” and “Burlesque,” it is somewhat of a relief to find that the dominant figure of “The Last Performance,” a silent film now at the Little Carnegie Playhouse, is not a hoofer, but a sinister magician and hypnotist. 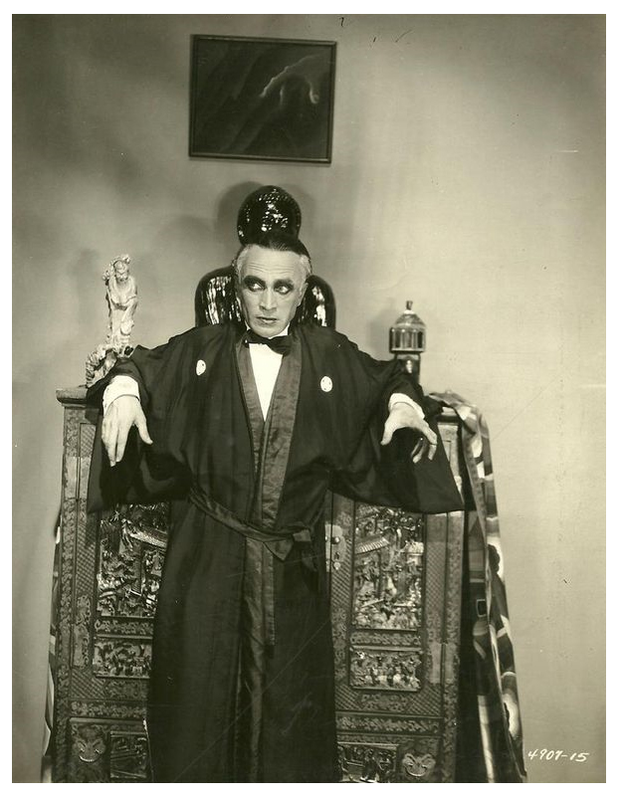 This production, which was made some time ago by Dr. Paul Fejos at the Universal studio, was probably Conrad Veidt’s last performance in Hollywood before returning to work in Germany. Dr. Fejos has handled his scenes with no small degree of imagination. They are not always as well photographed as one might hope for, but, due to the fantastic nature of the story, the occasional glimpses of the way in which the magician, Erik the Great, deceives the eyes of his audiences, Mr. Veidt’s clever acting and Mary Philbin’s captivating charm, this picture holds one’s attention. Moreover, the narrative is developed with a certain force and skill. There are scenes back-stage and others depicting Erik facing his audiences. During the course of one sequence, Erik is perceived on the stage, hypnotizing a woman in a theatre box. But that has little to do with the tale, except to demonstrate Erik’s malignant influence over certain persons. The gaunt magician falls in love with Julie, one of the assistants in his act. She is not yet 18 and Erik, believing that she reciprocates his affection, looks forward to celebrating her eighteenth birthday by giving a banquet at which he intends to announce the fact that he and Julie are to be married. Julie, however, becomes intensely interested in Mark Royce, a good-looking young fellow, who joins Erik’s act after being discovered in a destitute condition. Then there is Buffo, a scowling chap who is presumed to be under Erik’s hypnotic influence part of the time. Erik the Great and his company travel from Europe to New York, where the magician arranges for Julie’s birthday dinner. Everything is ready, when the treacherous Buffo calls Erik’s attention to the sight of Julie in Mark’s arms. Erik then arranges for what he calls his sword trick, which is the idea of a man being shut up in a trunk and then apparently being run through by a dozen swords. There are holes in the trunk through which to pass the blades of the weapons and, of course, the trunk opens at the back so as to permit the person selected to get into the trunk to make his way out before the swords are stuck through. The act is put on at a New York theatre and Buffo gets into the trunk. The swords are eventually passed through the slots in the receptacle and then one by one, with a dramatic pause, they are withdrawn. As each weapon is passed to him Erik sticks it upright in the stage flooring. As he passes his fingers over the blade of the last sword he notices blood on his hand! The trunk is opened and Buffo is found dead, one of the swords having passed through his heart. As Mark had stuck the swords through the holes in the trunk, he is arrested, and because it is learned by the police that he was not on good terms with Buffo, he is brought to trial for murder. The dénouncement is worked out in an interesting manner, even though it is far from credible. The last performance of Erik the Great takes place in the court room. While some of the straight camera work is not up to scratch, there are a number of photographic feats that are quite effective. It is a picture that looks older than it really is, especially in the tinted portions, where one goes from an amber interior scene to an azure blue night in the open. Leslie Fenton does well as Buffo and Fred MacKaye is sympathetic as Mark. On the surrounding program are Chaplin’s old comedy, “One A. M.,” and an abstract film study known as “The Story of a Nobody.” A Sinister Magician. 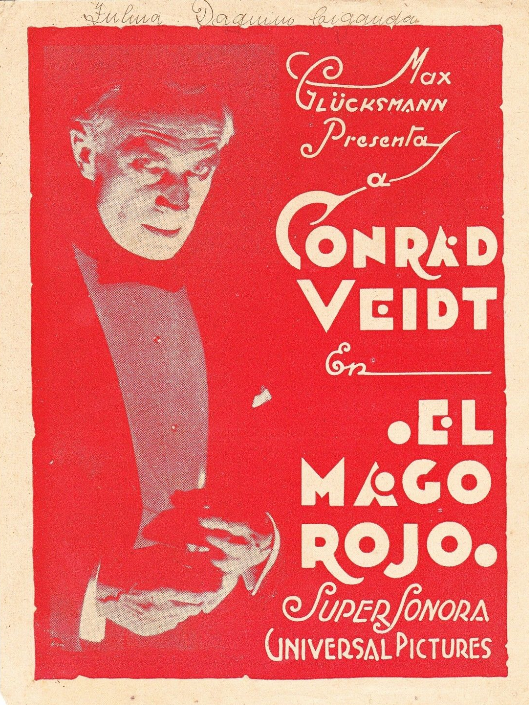 THE LAST PERFORMANCE, with Conrad Veidt, Mary Philbin, Leslie Fenton, Fred MacKaye, Gustav Partos. William H. Turner, Anders Randolf, Sam De Grasse and George Irving, based on a story by James Ashmore Creelman, directed by Dr. Paul Fejos; “The Story of a Nobody,” an abstract film study. At the Little Carnegie Playhouse. 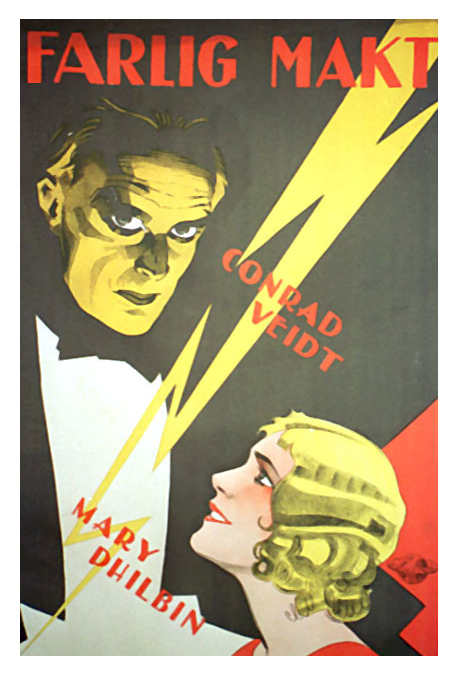 This is Conrad Veidt and Mary Philbin’s swan song for Universal, contracts for neither being renewed. 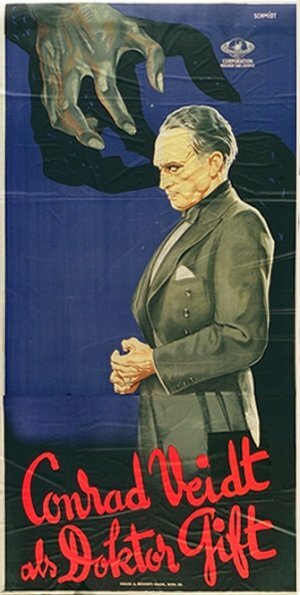 This picture was produced as a part talker with dialog in the last reel only, but is released at the Little Carnegie (Artie) in the silent version, dialog reel apparently not standing up in opinion with Universal’s heads. ‘Last Performance’ is one of the draggiest pictures ever made with the photography of the poorest. Apparently, Paul Fejos was up against handicaps at the start, and with a story that is more foreign than domestic in brand, he sought to give it the German touch. Photography of the subdued type as in ‘Sunrise’ and ‘Street Angel’ (both Fox) was one of the results, another the deliberate manner in which the picture moves. ‘Last Performance’ opens in Europe and ends in America, but all of it in every way looks like Europe and its picture product.